It's the end of 2016! We've seen many puzzles released this year, some that were so good they pushed the boundaries of what was possible, and others that were...disappointing, to say the least. Let's focus on the positives, shall we? We'll take a step back through the year and look at the puzzles with the most innovations, best values, or simply best turning feel enjoyed by the world this year. The KungFu YueHun came out of nowhere. 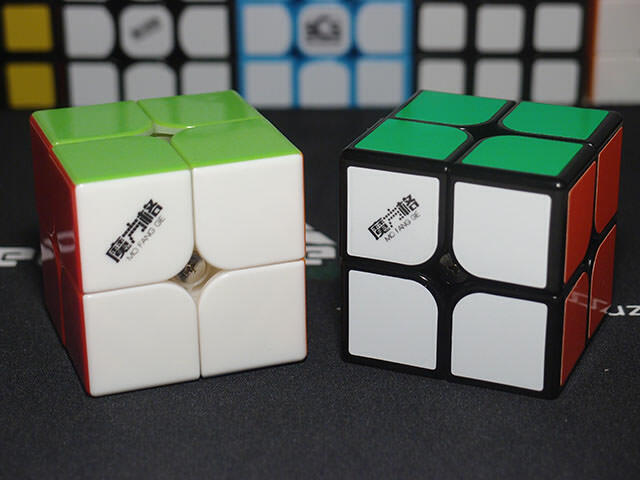 KungFu made a name for themselves when they released the QingHong, but we had no evidence they knew how to design cubes - the QingHong was a clone of the Newisland Lightning v2. 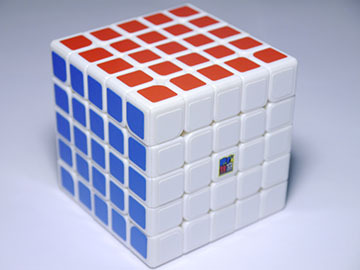 Somehow they made their first 2x2x2 from an original design and it blew away the competition. It's even been favorably compared to the legendary old plastic Dayan 2x2x2. What was the most impressive about it, however, is the price. It retails for just $5.95, which was less than half of its closest competitor at the time, the MoYu WeiPo at $12.95. Suddenly, one of the cheapest 2x2x2s was also the best. The YueHun has definitely made its splash on the market. It's now one of the best options for a 2x2x2, and a great choice for beginner and advanced users alike. 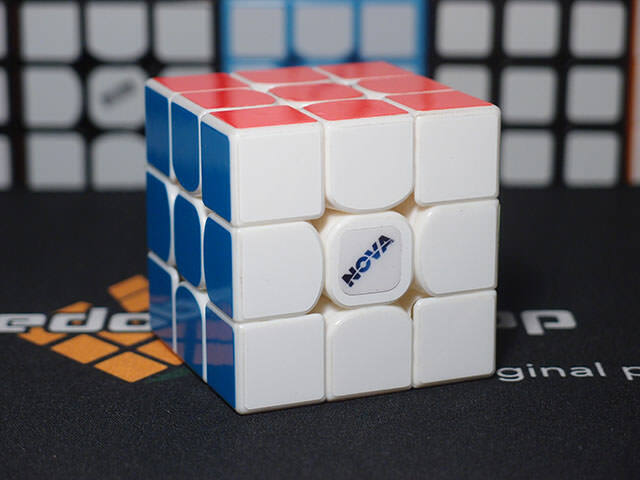 Honorable mention: The MoYu WeiPo, released alongside its big brother the WeiLong GTS, was widely considered to be a huge step forward (again) in the world of 2x2x2 hardware. 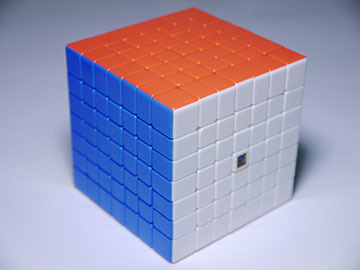 Previous 2x2x2 hardware was often considered to be inferior to the old plastic Dayan 2x2x2, a cube no longer available. The WeiPo for the first time brought back a level of performance just as high and a turning feeling just as enjoyable as the OP Dayan 2x2x2, and most importantly, was accessible to everyone rather than just the fortunate few. The new gold standards among 3x3x3s, these three cubes enthralled cubers and captured a huge portion of the community among release, going on to capture even more as time went on. Despite the vicious battle these three have gone through with each other over the past months, no cube has emerged as a distinctive winner. All three cubes are excellent cubes and all three deserve the highest amount of praise. It was about time we had a new 4x4x4 leader, and QiYi did not disappoint. The AoSu had reigned supreme for almost 3 years, and the WuQue, while not being its first challenger, seems to be the AoSu's first challenger that can beat it. It almost immediately captured the spot of main 4x4x4 for the majority of its earlier testers. Unfortunately, it seems the first few batches of the production version had issues due to mold problems, a phenomenon that has tainted its reputation. Let's hope everyone who received a first batch WuQue will have their problems fixed soon! This may be a bit of a controversial choice. 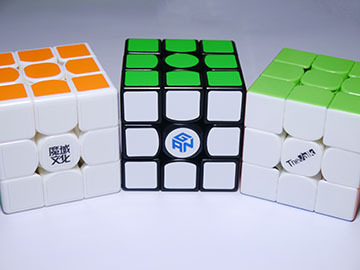 The year saw the release of three excellent flagship 5x5x5s - the BoChuang GT, the WeiChuang GTS, and the WuShuang. So why pick the budget cube with a much more muted release? One word: Value. The MF5S is a cube that retails for $10.95, virtually half of the flagships. 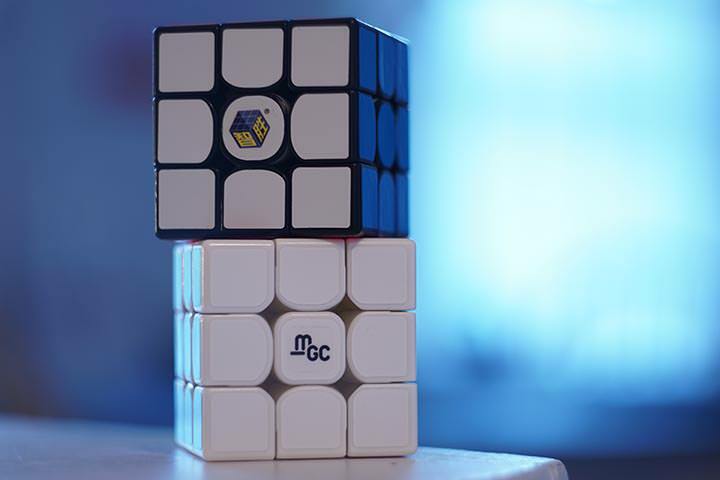 It offers surprisingly good corner cutting and lockup prevention, and actually feels similar to the WeiChuang or the older YuXin 5x5 if a bit cheaper. I had reservations about its pop resistance, but it turns out the "popping" that I can force by prying apart pieces doesn't ever happen in a solve. 5x5x5 hardware has traditionally been fairly expensive, which makes sense because of its complexity and its high piece count. The YJ's older attempt to produce an affordable, high performance 5x5 with the YuChuang did not turn out extremely well. It's good to see that MoYu has kept the budget oriented consumer in mind and designed a 5x5 to be sold at an accessible price point. Another story similar to the WuQue, the AoShi reigned as the supreme, and in fact, the only high performance 6x6x6 until this cube came along. 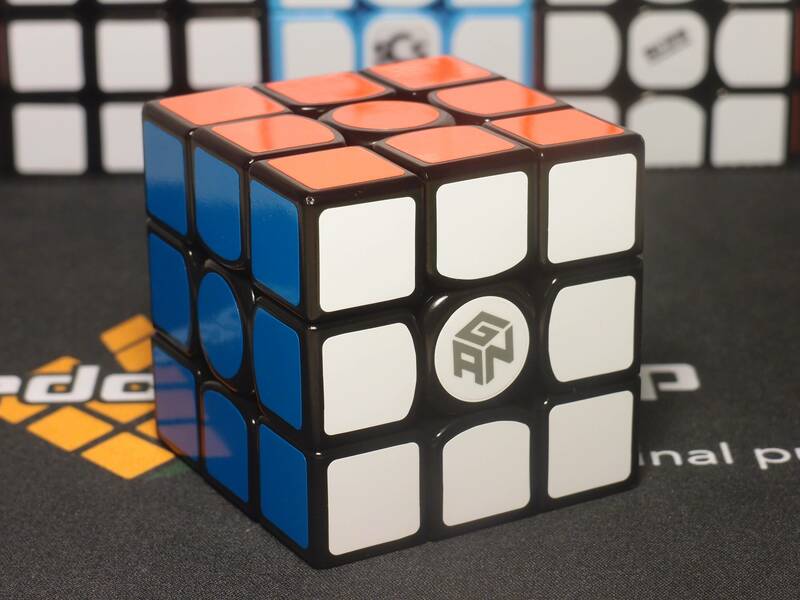 The YuXin Red surprised everyone with its low price, and while it wasn't amazing out of the box, spring swapped with YuXin 5x5x5 springs the cube turned into a serious contender for the best 6x6 on the market. As we made our way down 2016, we saw more competitors being released, to the point where the YuXin Red was no longer the only value-oriented choice. The WeiShi and the WuHua (review coming) are both excellent 6x6x6s for much cheaper than the old $40 AoShi, and the YuXin Red had to battle it out with them. Make no mistake, however, the Red is the 6x6x6 that started the wave of new, more accessible 6x6x6s. Another surprise, considering the recent release of the flagship HuangLong and the even more recent preorder release of the QiYi WuJi. Why the underdog? Again, value. As MoFang JiaoShi is all about. This cube retails at $28.95, a full $21 cheaper than its much older brother, the AoFu GT. 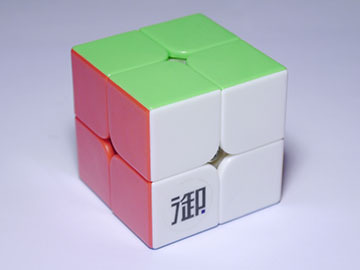 It planted itself right into the Shengshou Mini 7x7x7 and in fact undercut it by $6. Surprisingly, this 7x7x7 could easily compete with the AoFu GT. Layer rotations were smoother and more stable and the cube felt just as enjoyable to use. Because of that, the ShengShou Mini was all but antiquated (at least at retail price). It's almost looking like another WuQue story, where the newcomer finally managed to compete with a market leader of years... only, this time, both the newcomer and the market leader are from MoYu. I'll try to take a look at the HuangLong and the WuJi soon. I might even have to eat my words. As of right now, however, the MF7S is by far my favorite 7x7x7. Does this even need saying? The X-Man Galaxy is almost indisputably the best megaminx ever released. It overtook the Dayan's performance by quite a bit, and felt lovely to use. 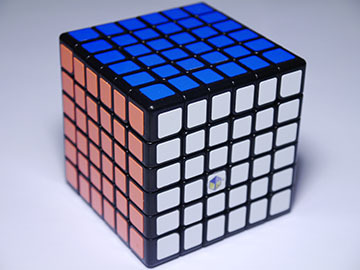 What's more, it's one of the first puzzles to use the split cap stickerless design. This allows the puzzle to be available in stickerless while retaining the favorable turning characteristics of solid internals. 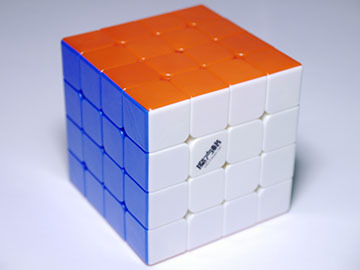 Ever since, we've seen quite a few cubes use the same design, including the MF2S and the magnetic Skewb. 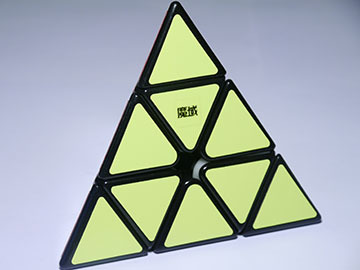 The MoYu magnetic pyraminx, released before the X-Man Bell, could be said to be the puzzle that started the entire trend of magnetic puzzles. Turns out, we didn't need mechanical ball bearings to give the pyraminx a nice snappy feel - magnets, which are more reliable and have their own unique feel, do the same. Taking the idea, the community started applying to magnets to every other type of puzzle as well. So why the MoYu over the Bell? 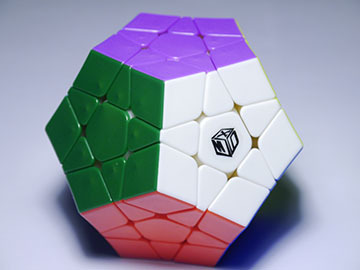 While the release was a bit sooner, it's not significant enough to definitively say the Bell copied the MoYu. After all, the Bell was announced very soon after the MoYu. Instead, it's because the MoYu has an ingenious magnetic mechanism where the magnets are actually not fixed - they snap to one end of their shaft when engaged, and snap back to the other when released. It gives each magnet a very satisfying click that can't quite be replicated by any other mechanism. This same idea has been applied to the magnetic Skewb as well. While nobody can say for sure whether this will become a standard, its innovation gives the MoYu magnetic pyraminx the edge over the Bell. Just because I said the MoYu is more innovative, I don't think the Bell is inferior. In fact, I think when it comes down to performance or turning feel, both are equally good. The MoYu is lighter and crispier, and the Bell is more solid and heavier turning. You really can't go wrong with either, and it comes entirely down to personal preference, as with many things. 2016 was a great year for puzzles! All of the puzzles listed made their own splash in the community and pushed cubing in a way we may have never even expected years ago. It's not just the puzzles listed, however - almost every other release had an impact, whether it was a new feature quickly adopted or a lesson learned in what the community doesn't like. The community also adopted magnets, and especially in the case of the DIY magnetic cubes, it's been wonderful to see so many people working on something together. It's been a great year for me, too. I never expected that in a few months my blog would be hosted on SpeedCubeShop, nor that I'd have the readership I do now. A huge thanks to SpeedCubeShop and a huge thanks to you, the readers, as well for making this possible. I haven't been posting as much lately due to several things I've been busy with. Team SCS tryouts just ended which I helped with, and SCS and I are working on something that we're very excited to bring out once it's ready. Soon, however, I'll be able to go back to working on reviews in full capacity. Happy New Years, everyone, and let's look forward to an even brighter 2017!